Great Glen Charcuterie has been named runner up in the Artisan Food category of the 2015 Scottish Rural Awards Gala Dinner on Thursday (26 March). The Scottish Rural Awards celebrates the true industry, innovation, dedication and aspiration of those who live and work in rural areas, highlighting their triumphs and the difficulties they have had to overcome in order to thrive. Jan Jacob and Anja Baak receive the award from Charlie Shentall. 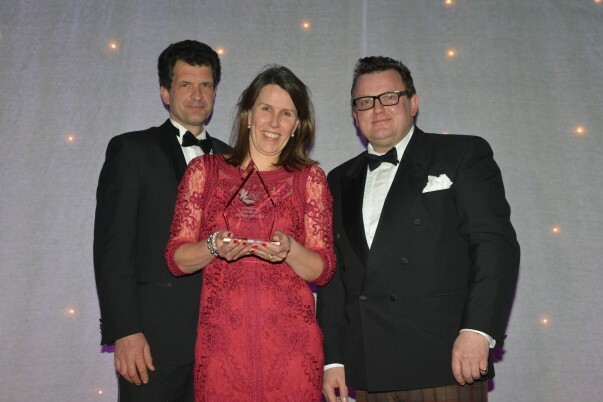 The new awards and their gala awards dinner are the first major event of a five-year partnership between Scottish Field magazine and the Scottish Countryside Alliance to celebrate the entrepreneurship of rural businesses. A long-time benchmark of excellence in the countryside, The Scottish Countryside Alliance Awards have gained significant following and respect for championing and demonstrating the rural industry’s innovation, dedication and aspirations. The awards are judged by an esteemed panel of industry leaders and experts. Winners and runners-up awards were unveiled at a ceremony on Thursday at Our Dynamic Earth in Edinburgh.